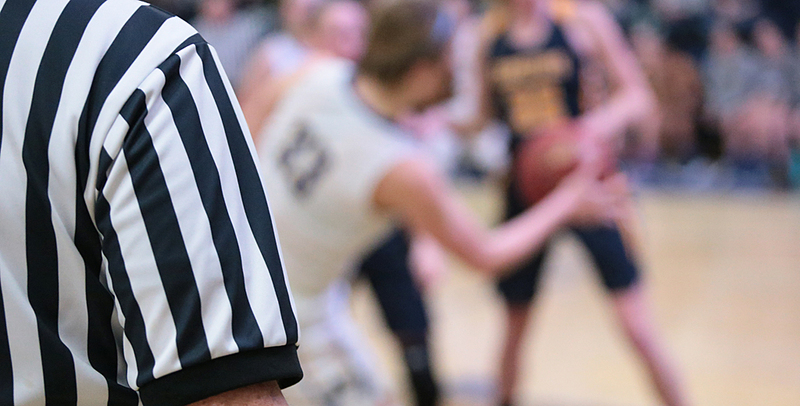 A shortage of high school basketball officials resulted in rescheduling five games originally set for Tuesday to different nights. Pete Vrieze, assignment secretary for the Minneapolis Officials Association, said Jan. 15 is an extraordinarily busy evening for games. The workload proved too taxing for the number of available officials, a growing challenge throughout the state. One option for relief, Vrieze said, is moving some basketball games, traditionally played Tuesdays and Fridays, to Thursdays. Minnehaha Academy and The Blake School, boys and girls, from Tuesday to 7 p.m. Monday. Providence Academy against St. Paul Academy boys from Tuesday to 7 p.m. Wednesday. Girls from Tuesday to 7 p.m. Monday. Hope Academy and Eagle Ridge Academy boys from Tuesday to Wednesday. “I’d be more concerned if we need to move games the rest of the year but I haven’t heard from those schools’ activities directors or officials’ associations that they need to do that,” said Jason Nickleby, the Minnesota State High School League’s coordinator of officials. Nickleby, who was hired by the league in 2015 to help address the numbers challenge, said the number of registered officials throughout all sports has hovered around 6,200 the past several years. The handful of moved games this week “concerns me but it’s going to take these kinds of things happening before people see the challenges we have to work through,” Nickleby said.